The approved list of colleges for sponsoring UK student visas has shrunk by more than 13,000, following a crackdown against bogus colleges. There had been about 15,000 public and private educational institutions on the government's register. But the new list, vetted by the UK Border Agency, now only has 1,500 institutions registered. 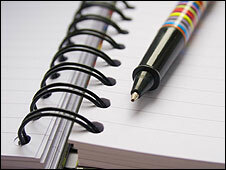 The stricter rules for the new register are intended to stop "dodgy colleges", says the UK Border Agency. But the sharp fall in numbers will raise questions as to whether the previous official list included bogus institutions. Following concern that bogus colleges were being operated as a way of fraudulently providing student visas, there has been a substantial tightening of regulations. "We have made it clear that we will not tolerate either the fraudulent applicants trying to abuse Britain's immigration rules, or the dodgy colleges that facilitate them," says a statement from the Home Office. The register of colleges, language schools, universities and other schools, held by a series of government departments, has been used as an approved list for student visa applications. Colleges which want to recruit students from overseas now face a much tougher inspection and accreditation process - and overseas students face greater controls, including the need for a biometric identity card. The list of registered colleges, previously held by the Department for Innovation, Universities and Skills, is now run by the UK Border Agency - and colleges or other institutions have had to re-apply to be on the new approved list. A quarter of those who applied have been rejected - and the registered number has plunged by 90%. Gina Hobson of the British Accreditation Council says the tighter rules will have a "dramatic impact on the operations of colleges which have been set up without educational intentions". There are also legitimate reasons why the new list would be smaller. The previous register was a wider-ranging list of education and training providers, including local authority centres, prisons and employment training companies, which would not need to apply to the new UK Border Agency register. Not every institution that was on the old Dius register needs to be on the new Tier 4 list [the stricter register] - some institutions do not teach students from outside Europe and so do not need to register with Tier 4. Some may have not yet registered. Some independent schools are not on the new list, according to the UK Border Agency. Independent schools only need to register if they want to recruit students from overseas, the agency says.